Campus involvement/organizations: I am the Public Relations Chair of Alpha Lambda Delta, Parliamentarian of Music Nation, Fellowship Chair of the Wesley Foundation, a member of the National Society of Collegiate Scholars and National Society of Leadership and Success. I am also a part time tutor on campus. Favorite place to eat in Huntsville: Yummy Yummy ! Favorite spot on campus: Paw Print. There are people and food therefore I am a happy girl! Most memorable SHSU experience: Performing at Pure Spoken Luxury (a poetry showcase) . One thing you can't leave home without: My earbuds. I don't need coffee but I need my music. Why did you choose SHSU? : The Criminal Justice Program at Sam Houston was #1 in Texas and top 5 in the nation. I felt SHSU’s program would best prepare me. The campus is also small enough for me to network but large enough for me to be involved in a variety of things. 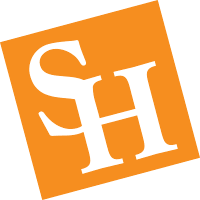 What has surprised you most about yourself since you came to SHSU? : SHSU helped me try things that I would have never tried before. I loved sports but I never thought I’d start playing coed football in the intramural league and I’ve never been really girly but I was able to participate and compete in a pageant. What advice would you give incoming students? : As far as advice goes, it is very important to ask for help when you need it. It’s a great idea to get involved and try things that you have never tried before. Lastly but most importantly, manage time and don’t procrastinate. After I graduate from SHSU, I hope to: Join the police force and eventually become a profiler at a federal level.